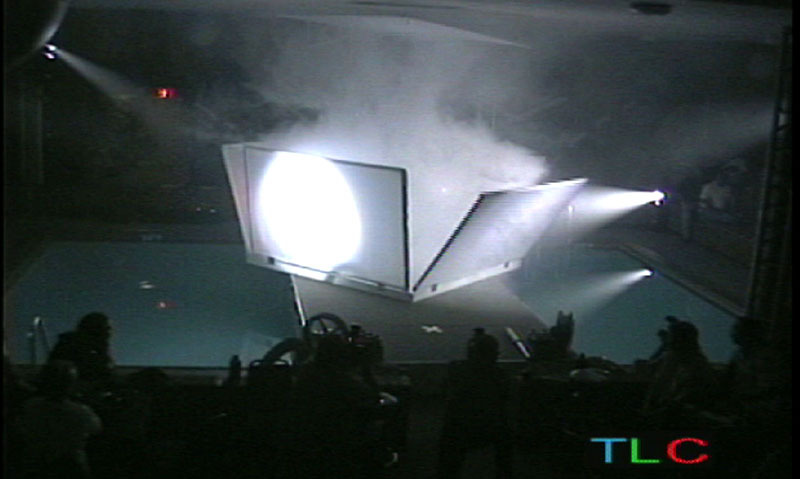 TLC designs unique special-effects based show experiences to captivate your audience. Dramatic reveals for products, entrances, and VIP entrances that your guests will never forget. Victory Motorcycles launched a new motorcycle with TLC creating a box of screens suspended over a swimming pool! The show featured a soundtrack and live special effects and lighting by TLC. The ‘opening box’ sequence can be scaled to fit any event situation, and the reveal of product or VIP is a unique moment that is social-media ready for guests to capture and share. TLC revealed a new LEXUS model by dropping 4 black screens and launching streamers with a moving light climax, and to a music track. Kabuki effects are great ways to surprise guests in an exciting way. A thrilling way to surprise guests is a Pull-Away, where a fabric ‘curtain’ or screen is suddenly pulled out-of-view. The reveal is unexpected and exciting to experience in person. TLC creates screen and kabuki show cues at any sized venue or event. Contact TLC today at 310-822-6790. LIVE SPECIAL EFFECTS ENTERTAINMENT from TLC! TLC brings creativity to special events, flying balloon wall reveals, video mapped entranceways, pyrotechnics shows, fog bursts to bubbles, TLC makes the moment memorable.